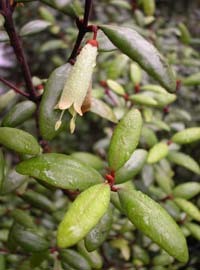 Correa lawrenceana is common wet forest and subalpine shrub. 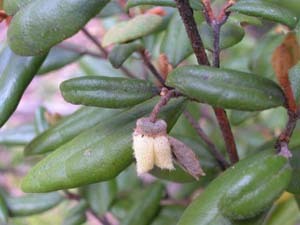 It can be confused with C. backhouseana, but the leaves are glabrous on the upper surface and all the stamens are the same size. 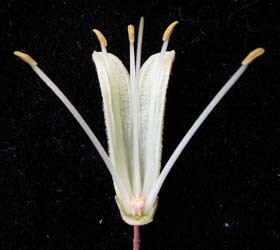 The petals are cream or greenish. There are two forms - in the north-east the leaves are almost hairless, and are often quite narrow. In the south and west, they are very hairy on the underside and relatively broad.